Starting a new business can be a very exciting opportunity for a hopeful entrepreneur. However, it is also a time when a number of pivotal decisions must be made. These decisions, if approached rashly and without careful consideration, would be extremely difficult, if not impossible, to reverse later, after the business is in operation. Carl Webb CPA, with its decades of experience and the status of QuickBooks® Pro Advisor, is here to assist you in the many business start-up issues. 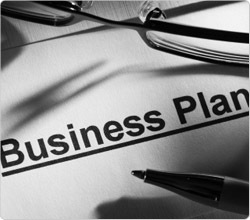 Guidance in the decision regarding what type of entity the business should be. We take into consideration your industry, your unique organizational needs, and possible current and future limitations and liabilities. Working in conjunction with your legal advisors to ensure that all federal and state requirements are met and possible pitfalls avoided. Guidance regarding your start-up’s registration and documentation requirements. Optional assistance in filing the documentation with federal and state government. Consultations on your current and future accounting needs, such as accounting methods and systems, invoicing, payroll, etc. Guidance in ensuring tax compliance. Guidance in setting up bank accounts.